Bill is a multi award winning sales professional, with a diverse range of life experiences and over thirty years of untiring commitment to customer service. In my early twenties I was the Licensee of the Barmah Hotel Motel and then owned and ran a Licenced Supermarket in Surrey Hills. This was followed with becoming the Area Sales Manager for Tip Top Bakeries. In 1994, my wife Cheryl, son Trent and I had the opportunity to relocate to the beautiful Bundaberg coast and have lived locally ever since. I have managed Real Estate at Moore Park Beach and previously have been very successful as the Sales Manager at Bargara Real Estate. A five year role in Sales Development at Pepsico Australia and NZ led to me receiving Queensland and National awards and I was humbled to receive Pepsico's Ring Of Honour award in 2016- Pepsico's highest sales award, which recognises the worlds best sales performers. 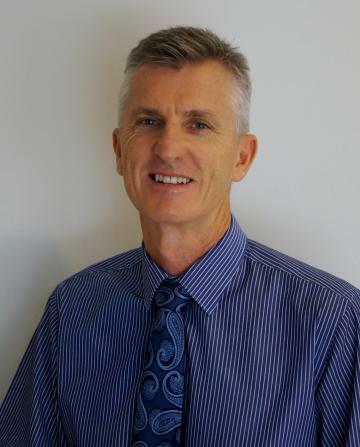 My passion has always been real estate and thanks to Paul Beer, Principal of Bargara Real Estate, I now have the opportunity to reconnect with the hundreds of clients and friends I have sold property for and assist new clients in realising their Real Estate dreams. NEW PRICE OFFERS OVER $300,000. STUNNING CENTRAL BARGARA HOME- EXQUISITE FINISH AND UNSURPASSED VALUE! This is a rare opportunity to buy brand new in Bargara and will be ready to occupy in early 2019. Centrally located at the popular Golf Links Estate, the home is very close to Bargara’s life-style facilities. A major Shopping Centre, Bargara Bowls Club, Bargara Golf Club, Kelly’s Beach, restaurants and cafes are all easily accessible. The home is being constructed by trusted local builder Break Free Homes and with sensible covenants in place your investment is protected. The price includes fencing, turf, security screens and a level 717m2 lot. To find out more or book your private inspection please contact your Exclusive Bargara Real Estate Agency today. SOLD AND MARKETED BY BILL HAZELWOOD "LOCAL MOORE PARK BEACH AGENT SINCE !995"